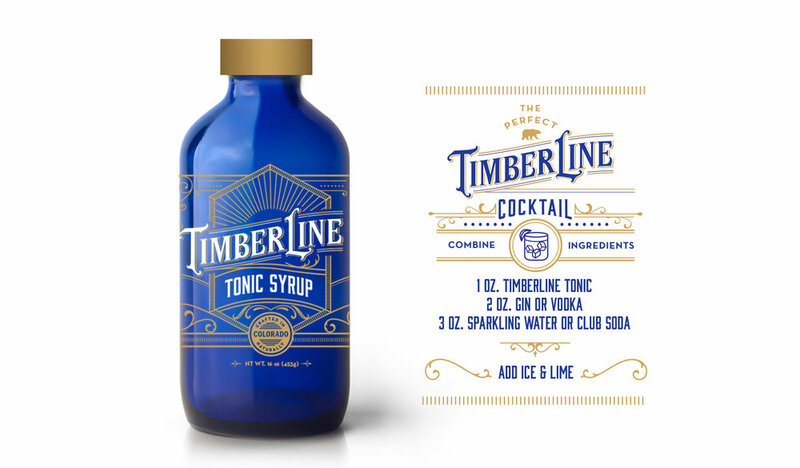 Timberline desired stand-out sophistication for their tonic syrup. We crafted a label with more intricate line work and gave the design an unexpected pop using a bright blue bottle. Tonic syrup has been around for centuries, so we took influence from classical design elements and simplified them for today's marketplace. Timberline Tonic syrup is now found in bars, restaurants and liquor stores across Colorado and beginning to expand in Florida.